Pastor Marc has served at Liberty Hill for the past 3 years. Prior to that he has spent over a decade serving in various capacities in youth and college ministry on church staffs and as a Baptist Student Ministry director. He has a B.S. in Religion from Liberty University and a passion for teaching God’s Word. He is kept grounded by his lovely wife, Mollie, and their 3 small girls ensure that he is too exhausted to get into too much trouble. Patrick is a Systematic Theologian who grew up in Moody, TX. He received his B.S. from Texas Tech University in Human Development and Family Studies and his Masters of Divinity from SMU Perkins School of Theology. His particular area of focus was systematic theology, with an emphasis on the Trinity. He currently lives in Georgetown with his wife of 14 years and their 2 children. 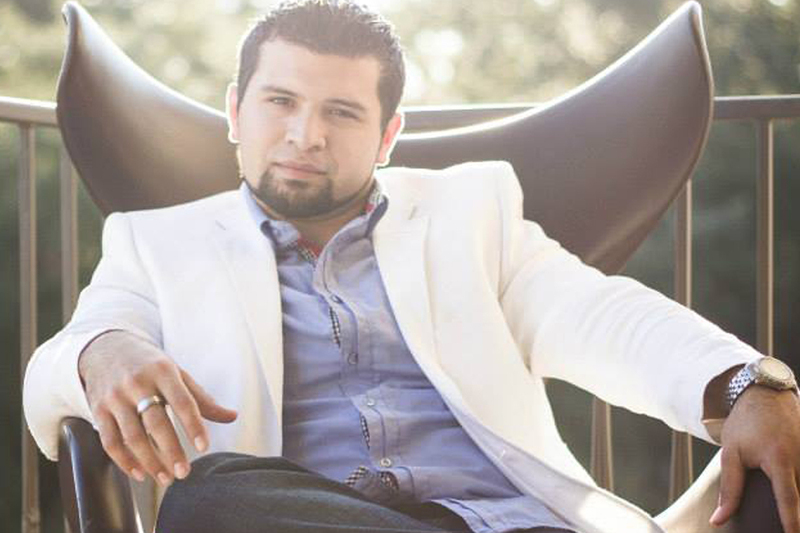 Eric Hernandez is a dynamic, young, evangelistic and apologetically inclined teacher who has a passion for defending his faith on theological and philosophical grounds. He is a licensed minister, a certified formation therapist and a former instructor of Magdiel Bible Institute. He is well respected and sought after for his expository ability and insight into apologetics. He has taken this calling into various countries and states that the Lord has lead him to. Eric has spoken and debated on a public level at university and college campuses where he adamantly and adequately defends the Christian faith against atheist, agnostic and deistic professors of different worldviews. He holds an associate degree in social science, a bachelor degree in theology and is currently working on his certificate in apologetics from Biola University. He runs Eric Hernandez Ministries which encompasses speaking engagements, apologetic seminars, weekend training courses, debates, blogs, articles and much more. He is married to Kendall Hernandez and they have one daughter, Adyson Grace. Allen graduated with a bachelor’s degree in physics from UT Austin and received a Master’s Equivalent degree in Systems and Software Engineering from UT CES. His most recent education included graduate study at Biola University in apologetics. Allen worked at Raytheon for about 12 years in software engineering before leaving as an Engineering Fellow in 1999 to be involved in 3D-modeling at a startup company. He has taught for Raytheon, UT, and the College of Southwestern. Allen owns a small technology company developing AI algorithms. He has worked for about 20 years in commercial satellite imaging, producing the imagery used in Google Maps and other applications. He also has led a Reasonable Faith chapter the past 8 years at UT Dallas and more recently also at a public high school. He recently partnered with Dr. Luke Barnes to write a chapter on fine-tuning evidence for God for a book entitled Story of the Cosmos, which will be available in 2019.